Everything we know about the VR technology in the recently announced Rift S.
Oculus started the ball rolling on wearable VR technology with the release of the Oculus Rift. That was almost exactly three years ago. Since then, Oculus has dedicated itself to creating quality virtual content. It has also released some cool advances in stand-alone VR technology like Oculus Go and the upcoming Oculus Quest. However, Oculus hasn’t done a follow-up to the Rift. That’s compared to competitors like the HTC who have already released advanced iterations of their flagship VIVE. Oculus fans have been waiting for a new Rift and here it comes. The company recently announced that the Oculus Rift S will be available this spring. They also had demos available at the annual Game Developers Conference which took place in March. Oculus calls the Rift S “the most advanced PC VR Headset”, but what kind of VR technology is it packing? The first thing that Oculus promotes on the webpage devoted to the Rift S is enhanced optics. These are supposed to, among other things, reduce the “screen-door” effect. This is when lines appear separating pixels in an image. It happens when you look closely at a computer image — which is kind of required for using VR. It’s also supposed to deliver better colors and brightness. Bright images are important for effects but also for establishing things like depth perception through strong contrast. The Rift S also incorporates a lot of the VR technology that they have been developing for their stand-alone headsets. That includes motion tracking without external sensors through their “Insight tracking” technology. It works by scanning the room’s relation to the person rather than the relation of the person to the room. It also builds on the previous work Oculus has done, including advancements in Asynchronous Spacewarp. This technology helps cut back on delayed relation of image to movement. That reduces that motion sickness feeling that some people get when they use VR technology. Oculus has also teamed up with Lenovo to make the headset, according to their blog post. The new model has a more comfortable and more easily adjustable strap. It also comes with better light-blocking and a simpler integrated audio set up. The headset also has an audio jack, so if you prefer to use your own headphones, you can. That will introduce another cable but its only one more, seeing as the Rift S is still tethered. That’s compared to competitor VIVE and VIVE Pro, which have gone tetherless. However, this isn’t just a hardware release. A lot of the upgrades to the Rift S are software updates. These software updates will be available to Rift owners, even though the hardware still won’t compete. The Rift S promises a lot, especially for dedicated Oculus fans. It’s not the most impressive system out there but it’s also not the most expensive. 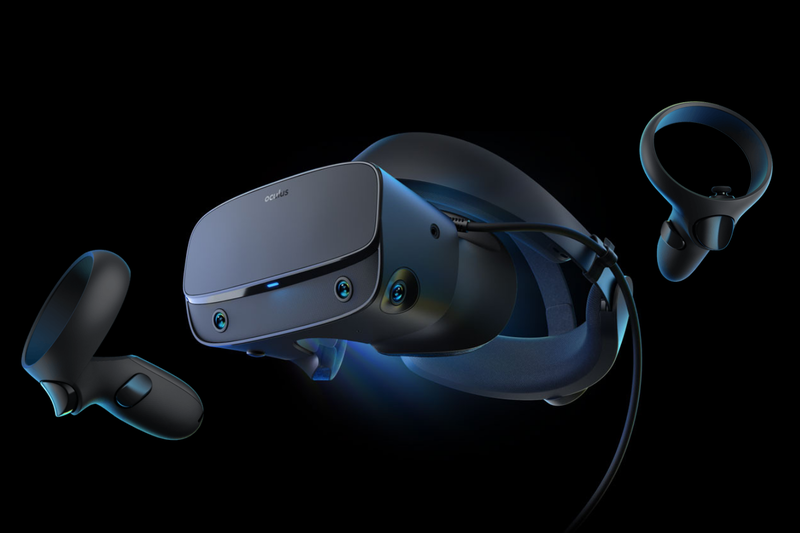 However, that low price tag will have newcomers picking between Rift S and the similarly priced but more approachable Quest.